Are you in need of door installation Capitol Heights, Maryland expertise? In that case, contact King Door and Lock Maryland and DC! You can expect comprehensive door assistance. 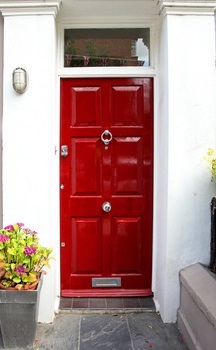 Do you need to replace your worn out entrance door? Is your garage door in such lousy shape that one could seldom get it open nowadays? It’s always particularly important for businesses to own functional and presentable entry doors. Whether you need a door for a home or business, or a new garage door, King Door and Lock is your fast and helpful, 24/7, premium Prince George’s County, MD door installation company. The team at King Door and Lock exceeds expectations in repairing and replacing all kinds of residential doors. Is your storm door falling off its hinges or seen much better times so far as the condition the door is in? Our professional and reputable experts will check out the issue and afterwards, tell you what a storm door repair or storm door installation will cost. The entrance door of your property is the initial thing many guests see as soon as stepping into your residence. An entrance door installment from King Door and Lock will definitely radiate professionalism, craftsmanship, and quality to any person who walks through it. When you invest in front door installation from King Door and Lock, you’ll get straightforward pricing to ensure you know exactly what you will be paying for. You can have certainty in the work that we perform when installing any of your doors. Together with fixing front doors, we’re able to also take care of back doors or patio doors. Depending on how damaged the particular door is, we are able to either do a patio door repair or full replacement. All of our highly skilled door specialists provide only the most premium door replacement and door installation Capitol Heights, Prince Georges County services. We recognize, being a business ourselves, that you are continually keeping track of your financial well being. King Door and Lock Maryland and DC is certain that you’ll not get a better value for door replacement or door repair when compared with what we supply. Watch out for companies with unbelievably cheap prices because it’s highly possible that their work will likely be of lower caliber. You will value our straightforward rates combined with our speedy, friendly service, so you’ll know your door needs will be taken care of quickly and there will not be any hidden fees on the bill. Front door installation, repair, and replacement specifications for businesses are usually vastly different from a residence, therefore make sure you hire experts in industrial door repair and replacement. Your business could have multiple entrance doors that must function faultlessly next to one another any time a customer comes and leaves. In comparison to residential doors, industrial doors are generally constructed with more complex components. At King Door and Lock Maryland and DC, we’ve been fixing storefront doors for over ten years. Perhaps you already have a garage door, but it just isn’t working as properly anymore. For the very same reasons presented above, you want to make sure that garage door repair is finished correctly to begin with to safeguard the valuable items you keep within. Our skilled professionals will look into your garage door and notify you if it needs replacing or if it can just be repaired. We always explain to you what it will cost in advance so there won’t be any surprises when you get the statement. Are you thinking about installing a new garage door for your Capitol Heights business or home? King Door and Lock Maryland and DC is known for an experienced team to install and repair garage doors. It is essential that a garage door be managed by specialists. Your garage is the ‘home’ for your automobile and assorted additional things that most of us store in there: lawnmowers, leaf blowers, bikes, etc. Given the number of items that we store in our garages, it is crucial that they’re secure and working effectively. You need the work done properly by our experienced specialists using their advanced equipment and tools which enable them to deal with any job of this nature. If your commercial building needs garage door replacement or repair, then we are the skilled and knowledgeable experts for commercial garage door repair and replacement. Use our complete door professional services so that our business can help your business to prosper. Our fast and helpful experts will get to your to your promptly to let you know how much installation or repair will cost. We will then handle the project properly and with courtesy so you’re able to concentrate on your own company. The technicians at King Door and Lock Maryland and DC are your door industry professionals. For door installation Capitol Heights, Prince Georges County assistance, give us a call. We deliver comprehensive door services: door repair, door replacement, door installation. Our 24/7 door solutions covers residential doors, industrial doors, and garage doors. King Door and Lock services not just external doors, but in addition, does really well at interior door repair and replacement for houses or companies. Interior doors we specialize in repairing and replacing consist of pocket doors, closet doors, and bedroom doors. Our professionals will initially assess precisely what must be done. You might not necessarily have to have a brand-new door put in. It could be a question of a door jamb repair or even a door hinge repair. In the event the door frame is faulty, then maybe a door frame repair is all that will be necessary. Our technicians will find the problem, find out what really has to be completed, and then present you with straightforward prices so you’ve got the information you will need to make a good decision. If you’re in Capitol Heights and the surrounding area, call us right now. We are here for you 24/7! 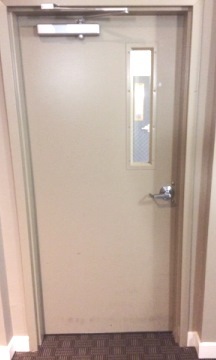 Our Door Installation Capitol Heights Services in Maryland https://kingdoorandlock.com/maryland-door-installation/prince-georges-county/capitol-heights/ 4.2/5 based upon 9 reviews.